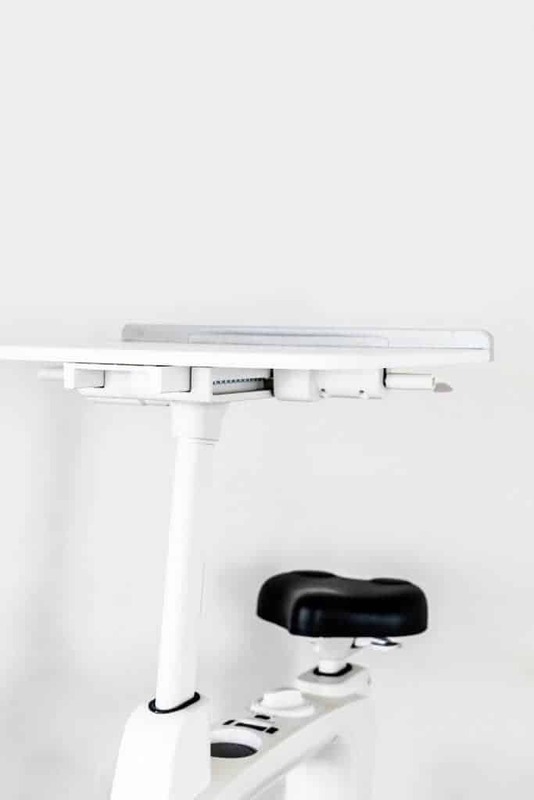 Why We Needed the Flexispot All-in-One Desk Bike. I have been far too busy the past couple of years to get in the workouts I want. I truly love exercising, from aerobic to yoga to weights, but between work and family I can’t find the time. My kids are both at ages where they need a lot of my time, and my blog seems to eat up every spare minute I have. I have a gym membership that I hardly use, and ended up buying some DVDs that I just don’t enjoy. When I saw the FlexiSpot Deskcise Pro™ V9 Desk Bike it looked like it had a lot of potential for someone like me. I could sneak in my workouts while chipping away at all of the work I do on my laptop. I don’t want to take away my time with my kids, and getting less sleep is not an option. Being able to burn some calories while working on my laptop is an outstanding option. My husband is busy as well, however instead of working on his laptop all of the time he is a Netflix and Youtube junkie. With the Flexispot he can take in his weekly binge viewing while losing (or at least not increasing) weight. 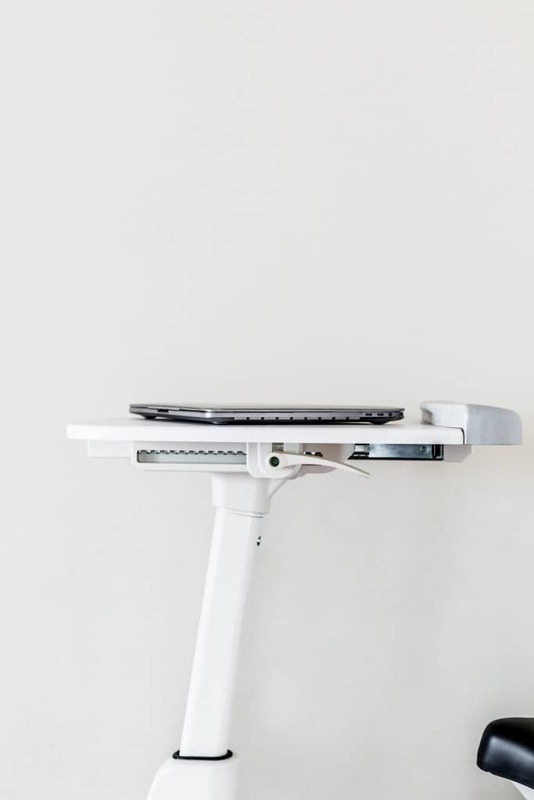 I’ve been reading a lot about standing desks being much better for us than desks where we sit all day, and the Flexispot gives this setting as well. I’m still getting used to this and to be honest only used this setting for about 20-30 minutes a day. I think this will take more getting used to, but the fact that I now have a desk that accommodates this healthy option is a big step. 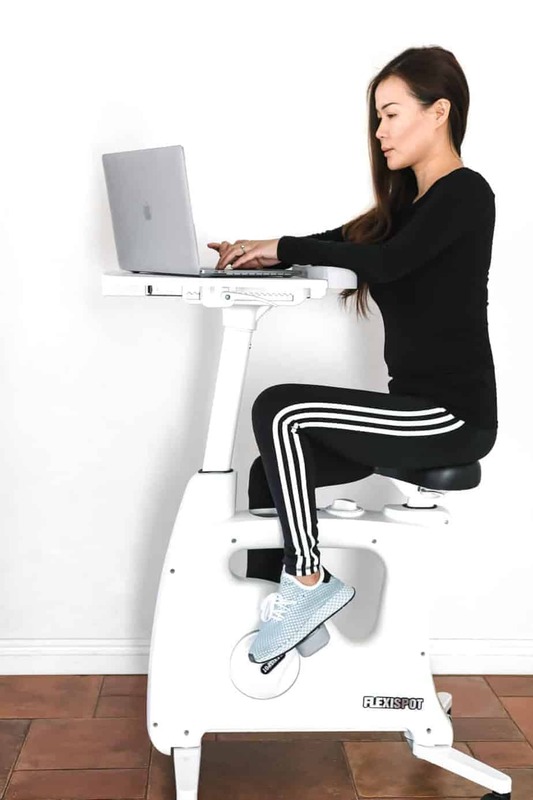 The FlexiSpot Deskcise ProTM V9 Desk Bike gained a lot of traction this past year in Las Vegas as a 2018 CES Innovation Awards Honoree. As a regular attendee I know that’s a huge deal and was elated to try it out. We owned a spin bike a few years ago but the quality was sub-par (even though it wasn’t cheap), and I was curious to see how this compared. The first thing that I noticed with the Flexispot was how sturdy the bike felt. There aren’t any flimsy parts to it, from the pedals to the seat to the base and even the desk. When I adjust the height of the seat, the height of the desk, the closeness of the desk, etc. it all latches into place clean and snug. There are pads for my wrists that don’t irritate my skin, and most importantly the pedal motion is smooth whether in a high or low gear. Even if there wasn’t a desk attached to it I think this bike would be very well received, and am surprised it’s not at a higher price-point. The aforementioned smoothness of the Flexispot makes for a very quiet ride, too. This was great for family movie night…my husband burned about 400 calories while watching but we didn’t even have to increase the volume. I think that it being quiet is even more important to me… if this bike was loud like one you’d find in a gym I just wouldn’t use it. I’m not even one to put on music while I work and don’t consider myself a multi-tasker. The quietness of this product makes it feel less like multitasking and more like I’m just moving my legs a bit while getting my work done. 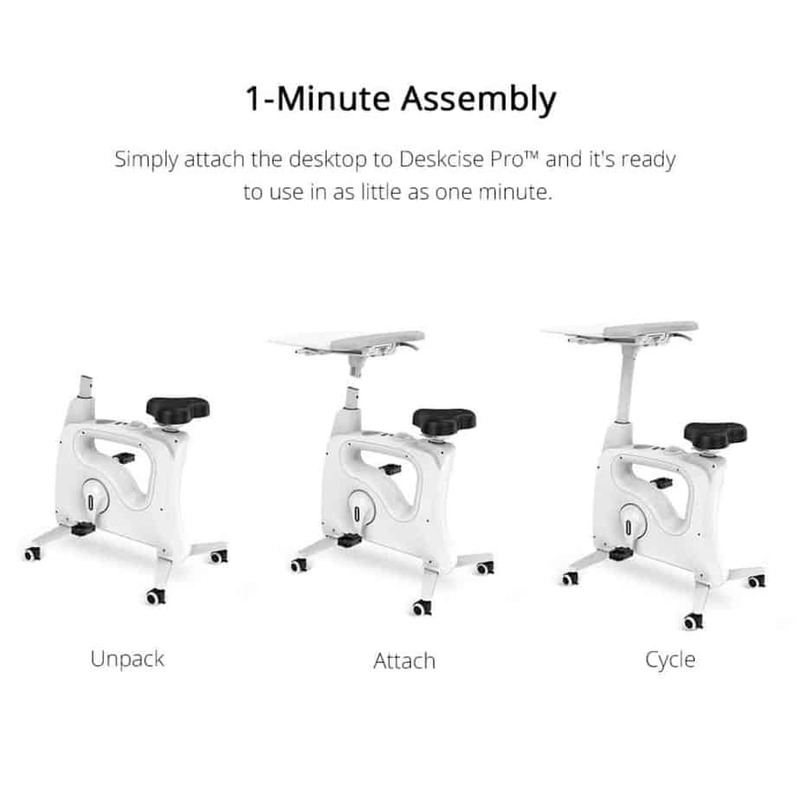 When our FlexiSpot Deskcise Pro™ V9 Desk Bike arrived in the mail, my husband took a big sigh and started to plan the rest of his day around assembling it. We used to have a bulky elliptical machine that took him about 3 or 4 hours to put together (I still remember his hands all covered in grease). He and I both assumed it’d be the same for the Flexisport. That was absolutely not the case! The directions had 4 simple steps which we completed in just a few minutes. One of those steps was to put in a battery, another was for the pad that goes over the cup holder… you get the idea, easy-peasy. As for its portability, it’s a snap. We had to move our elliptical machine once during a rearrangement of our living room. It was a nightmare, and even dangerous. The Flexispot on the other-hand has wheels that make this easy to shift from our bedroom to the living room. Despite its heavier, solid build, it is easy to push around on its four wheels. I’m not sure of any drawbacks to this product. It looks nice (I’m partial to the white design as that’s my favorite color for anything in the home). It’s well made and actually useful. It has pads that go over the metal grated pedals so I could ride in my socks or barefoot and still be comfortable, or easily remove them for more grip when I wore shoes. The intensity level was easy to toggle, and the tracker of time, calories, odometer, etc. seemed accurate. 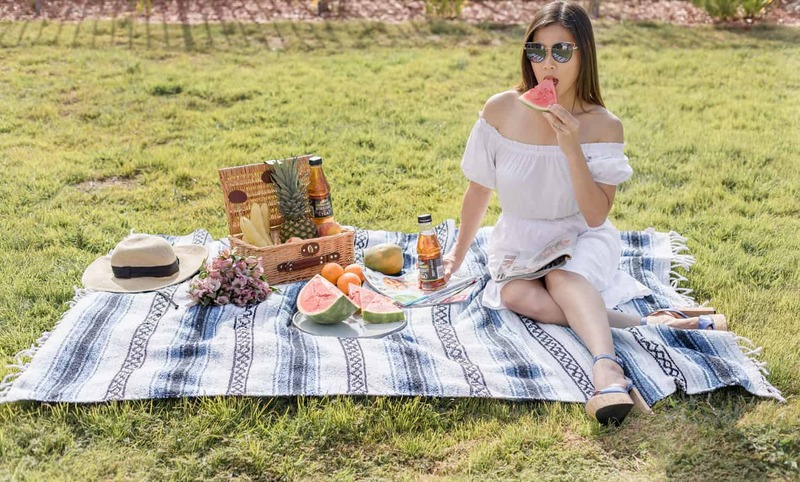 Maybe one drawback is that it’s not for everyone… if a person is taller than 6’2” then they may need a different model (see the FAQ page to read more on this). My husband is 6’0” and had no issue though. The Flexispot is a winner; it beat out the competition at CES and definitely hit a home run in our household.